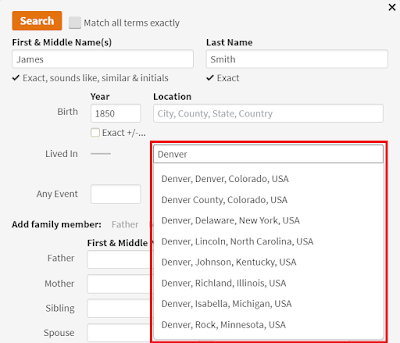 This is an update to my original post, "Does this Google Custom Search help find records about your ancestors?" I appreciate all the feedback I've received on the usefulness of my search form from many users! (And in fact, in the last few weeks, I've extended two more branches of my family tree back into the 1700s using my search form. I found web pages with historical references to my ancestors that evidently had been hidden in heaps of irrelevant standard Google search results).